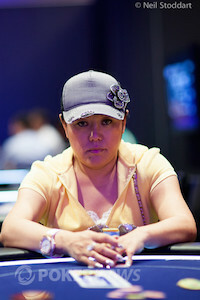 Cheung Yin Sun, the so-called “Queen of Sorts,” also know as Phil Ivey's edge sorting accomplice, lost her law suit against Foxwoods Casino. In a significant – if not procedurally unusual – victory for Foxwoods, a federal court in Connecticut has entered judgment against a group of individuals who sought to recover monies putatively won through edge sorting at a mini baccarat table. This draws to a close – at least for the time being – the suit by Cheung Yin Sun, the so-called “Queen of Sorts,” who gained wider notoriety for allegedly helping Phil Ivey take the Borgata for just shy of $10 million in a series of gaming sessions that are themselves the subject of separate, and largely unrelated, litigation. But those looking for a clean answer as to whether edge sorting falls within the allowable realm of savant-like card counting, or the illicit realm of sticking light wands down the coin mechanisms of slot machines, will be disappointed, as the ultimate disposition of this New England affair has little to do with edge sorting, and much to do with the idiosyncrasies of tribal gaming and American civil procedure. As relayed in appreciably greater detail in a column I published when Ms. Sun initially filed suit, Foxwoods was apparently none-the-wiser as the sharp-eyed maven went up more than $1.1 million in a game of mini baccarat, using the same edge sorting technique that has plagued the coffers of Crockfords and the Borgata. When the tribal casino wised up during one of these sessions, if not somewhat suddenly, Ms. Sun and her two colleagues ceased to be honored as high-rolling guests and instead assumed the haunting identity of virtual prisoners in their hotel rooms, having their chips withheld, their lines of credit frozen, and their doors pounded on by the likes of local law enforcement, or so the suit alleges. After suffering an expected loss in the local tribal court – a venue to which Ms. Sun has repeatedly insisted she was not voluntarily subjected – the at-issue lawsuit was filed in the United States District Court for the District of Connecticut. Marvin Vining, a noted plaintiffs’ side gaming attorney (who, in the interest of full disclosure, I know through the relatively small world of gaming lawyers) took the case, and posited a series of creative, if not preemptory, arguments concerning the propriety of summoning a Native American tribe to federal court. Therein lies the awkward tension that appears, at least for the time being, to have collapsed this litigation. Various efforts to right the most dastardly of historic wrongs, to preserve rapidly waning heritages, and to honor fleeting notions of sovereignty, have cumulatively produced oft-tattered and irreconcilable legal regimes. At the core of this oddity is the notion of so-called sovereign immunity, which appears to have driven the preemption of Ms. Sun’s day in court. With certain exceptions – some of which are potentially significant here – the American legal system has long held that Native American tribes are “‘domestic dependent nations' that exercise ‘inherent sovereign authority’” because they are “separate sovereigns pre-existing the Constitution.” Stated otherwise, if not in oversimplified and brasher language: since Native Americans were here first, they do not need to honor our laws on their reservations. Again, just to stop the spinning wheels of a sinister imagination from accelerating off their axel: there are numerous exceptions to this doctrine, many of which serve to avoid the obvious – and even less obvious – absurdities from coming to pass. Moreover, it is not as though reservations are lawless abodes; most tribes have laws that look an awful lot like state laws. This generally means that a private citizen cannot sue a Native American tribe in state or federal court, since with sovereignty comes a doctrine called “sovereign immunity” that, as one might guess, affords near-carte blanche immunity from civil and criminal proceedings. It is odd that we honor this doctrine since the country was founded, in part, to escape the sovereignty of King George III and the immunities afforded his royal party, but that is largely beside the point. However, one thing for which Native American tribes – and their respective members and employees – might potentially be made to answer in federal court is depriving a citizen of his or her civil rights, in what is colloquially known as a “1983 Action” (since the correlative statute is located at Section 1983 of Title 42 of the United States Code, just like your retirement account owes its common nomenclature to the provisions of Section 401(k) of Title 26 of the United States Code). Thus, Ms. Sun premised her lawsuit on a few creative theories. The two most pertinent were that Foxwoods’ use of a Connecticut police officer gave rise to a civil rights violation, and that the Mashantucket Pequot is not a genuine tribe in the first place but, rather, is the byproduct of a massive fraud, as alleged in a book by Jack Benedict entitled Without Reservation: The Making of America’s Most Powerful Indian Tribe and Foxwoods the World’s Largest Casino. Unfortunately for Ms. Sun, her suit hit an ironic, if logically circuitous, snag almost immediately. When you sue someone in federal court, the onus is on you to legally notify them of the lawsuit, and a simple phone call or e-mail will not nearly suffice; a complex array of federal rules, some of which incorporate state and foreign laws, govern the way in which notice is to be given. Familiarly, individual citizens are often put on notice by having a process server locate them and hand them official notice of the suit, alongside myriad other documents. However, the Mashantucket Pequot tribe is not an individual citizen, and trying to serve a Native American entity – or its citizenry – can potentially involve adhering to tribal law, which creates something of a Catch 22 since Ms. Sun’s suit is premised upon the inapplicability of tribal law. Thus it appears Ms. Sun’s legal team struggled to secure proper notice, creating a multitude of issues. Even odder, however, there is no question but that the Mashantucket Pequot tribe and its fellow defendants knew of the lawsuit, since every one of them had a lawyer appear on their behalf in court. Indeed, it can be best described as something of a Kafkaesque scenario, the various defendants filed a motion to dismiss the litigation on the theory that they had not been properly served under laws meant to ensure they are aware of the litigation, and, of course, they also argued that they are entitled to sovereign immunity. Odder yet, the dismissal appears to be surrounded by a series of procedural irregularities that stem from a missed deadline and other anomalies. The court’s ruling notes a lack of objection to the defendants’ motions seeking dismissal and judgment, which means the court may not have ever really ruled on the merits of the case but, instead, taken the view that it need not mediate disputes for which one side has not cared to timely weigh in (something often noted by state and federal courts). Without going too far down the rabbit hole of an “excusable neglect” discussion (which, I assure you, should be of no interest to the gaming community), suffice it to say that federal courts often allow late filings and untimely papers when there is a justifiable reason for the tardiness. No lawyer wants to ever be in such a position, but the courts tend to understand that attorneys are, by definition, fallible humans, and that it is not always just to punish their clients for oversights that do not impact the merits of a given case. Whether or not the court here will let Ms. Sun off the hook on these grounds, though, remains to be seen. If the court proves unforgiving, Ms. Sun’s counsel has indicated that an appeal may well be in the works. Cheung Yin Sun, the "Queens of Sorts." 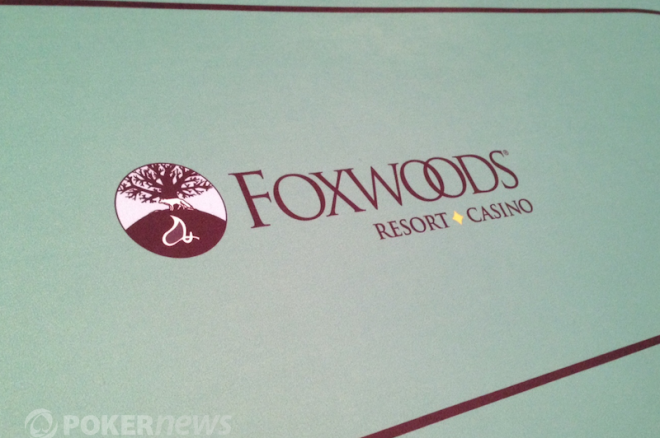 "If the court's ruling in the Foxwoods case has defined the sovereign immunity issue such that it is ripe for appeal we might go ahead and appeal, if the case is not reopened," said Vining. "What would be most interesting would be a split between the Ninth and Second Circuits regarding the sovereign immunity of tribal defendants who violate patrons' civil rights. When there's a split in the Circuits like that the U.S. Supreme Court usually hears both cases in order to resolve the conflict." The proper mechanism through which to serve a lawsuit, voluntary subjection to the personal jurisdiction of a court, and sovereign immunity are not particularly vibrant subjects for casual discussion around a poker table, but these suddenly matter – potentially a great deal – for two distinct reasons. First, if sovereign immunity is curtailed, players will suddenly be afforded a far broader swath of protections when playing at tribal casinos. It may not be a conscious point of consideration, but the reality is that you currently have far fewer remedies available when a Native American parlor withholds your chips or boots you off the property than you do when suffering a similar fate in Las Vegas, Atlantic City or any one of numerous other domestic locales. Second, if there is to be a clean ruling from a federal court on the propriety of edge sorting, these are the obstacles that need to be navigated – at least in this case. The scope and duration of litigation is often, and properly, bemoaned by those in search of quick justice, but it is procedural hurdles like this that can not only make a case drag on for years but, indeed, that can so significantly redirect the focus of a case that it becomes easy to forget how everything relates back to a contested game of mini baccarat. Unfortunately, it does not look like we may ever get back to that gaming origin here. While other publications have reported that this case was dismissed because sovereign immunity was upheld, that is a gross simplification and a deceptive one at that. Ms. Sun’s suit was tossed because the defendants were never properly served and because a brief was not timely filed, and while tribal law issues might have some role in one of those issues, it is the less exotic law of ordinary federal civil procedure that currently has Foxwoods holding a winning hand.